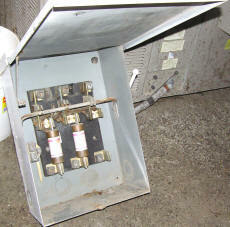 Cookees Drive-In All New Electrical Systems Install! 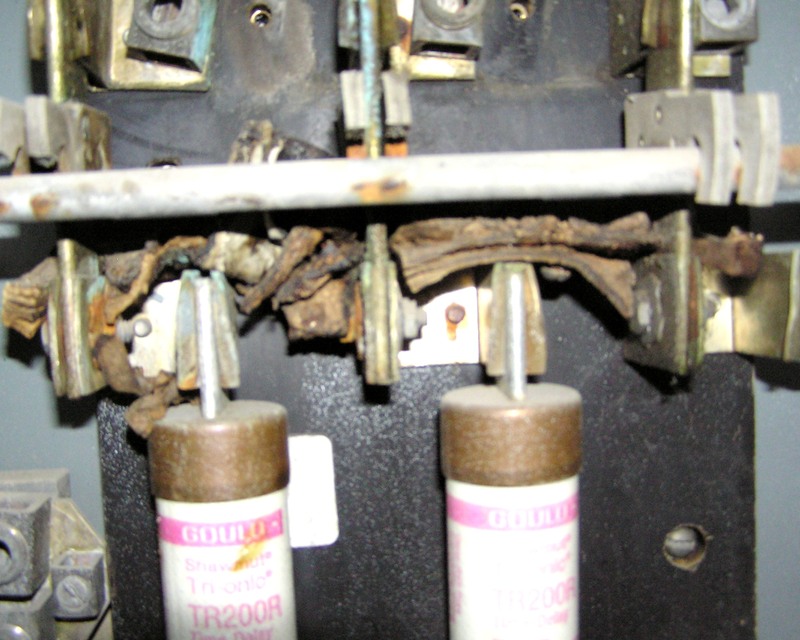 Next we decided that flames shooting out of our electrical breaker boxes was not good. Therefore, we started on the project of getting all our panels replaced. 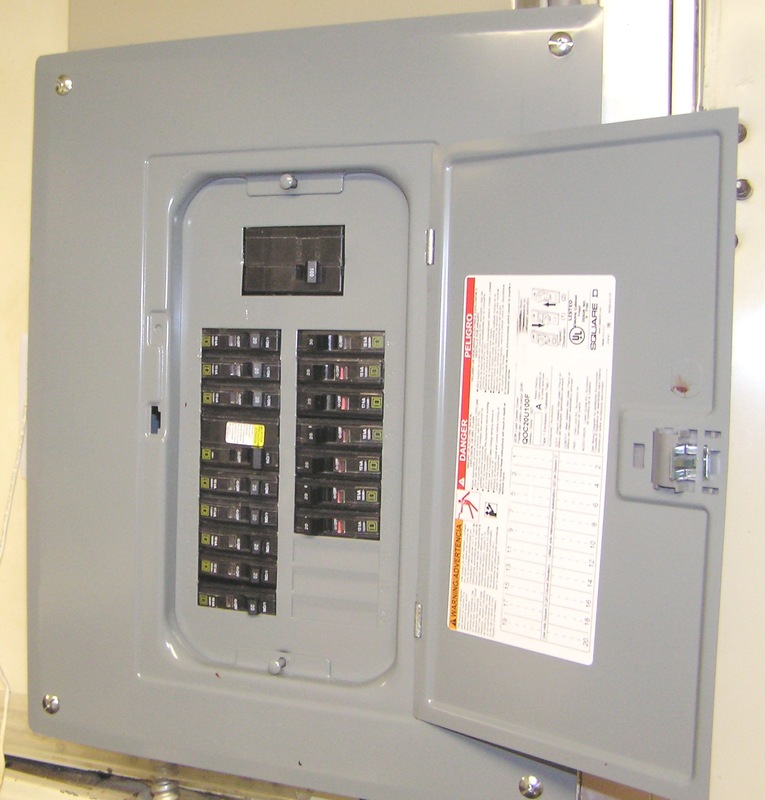 We have two inside, and our main panel outside. In fact, when the electrician attempted to turn off the power at the main, the handle came off in his hand! 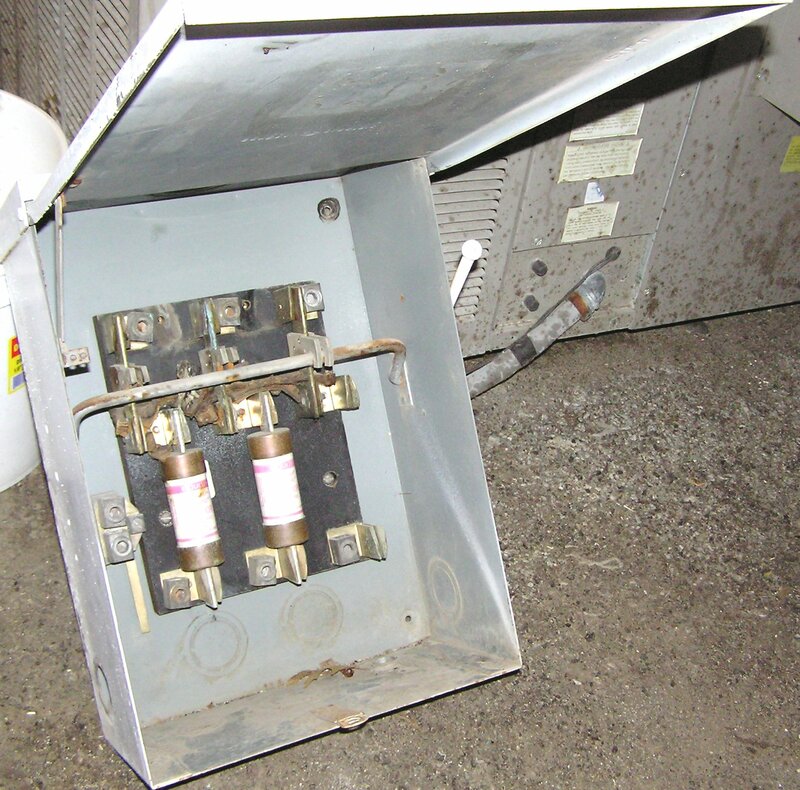 Thankfully, it broke in the "ON" position or we would have had no power! 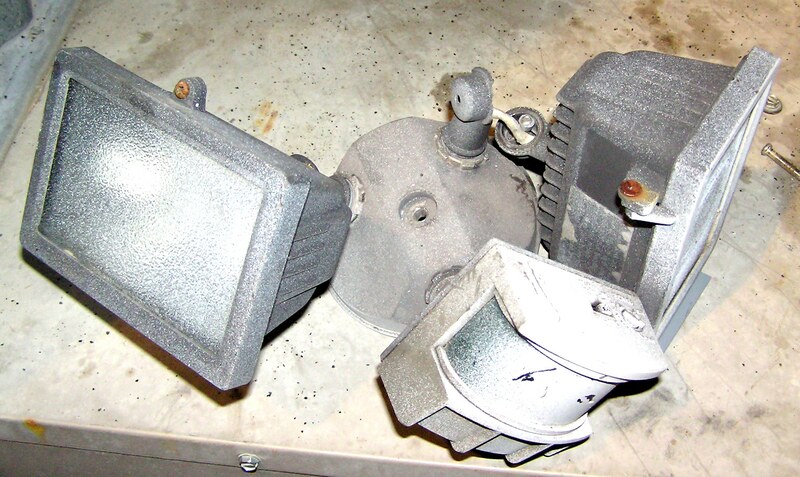 Pic of our non-functional spotlights. 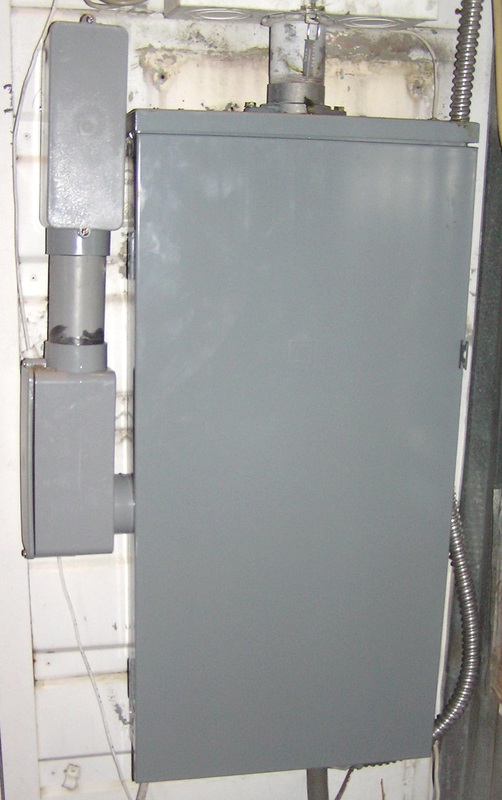 Our old main breaker box outside. 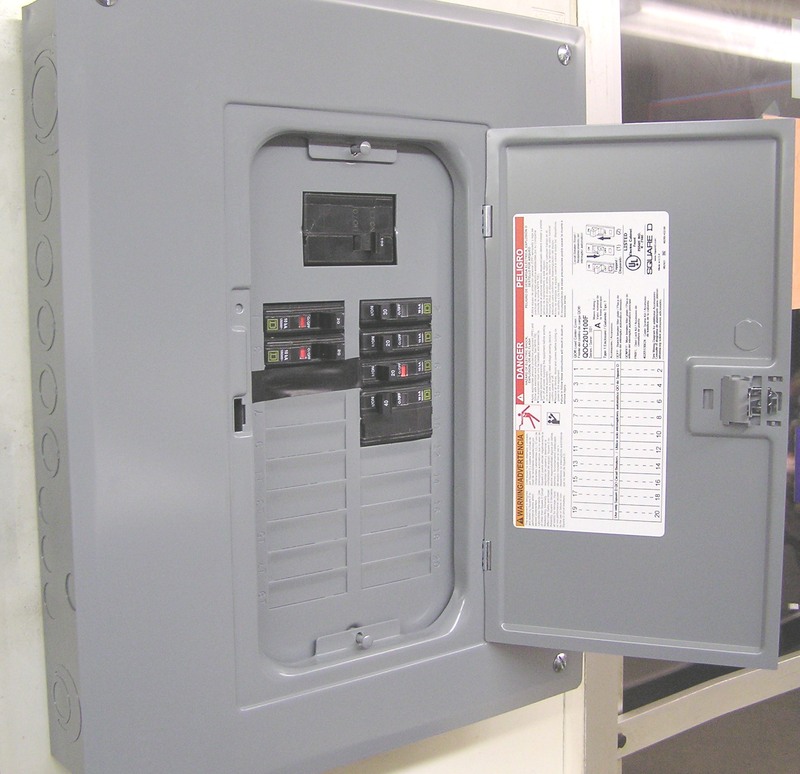 Second internal new breaker box. 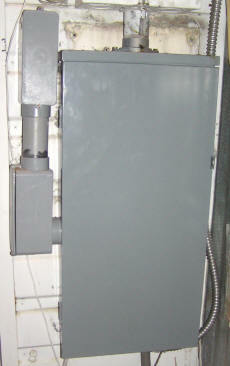 New external main breaker box.